Training is central to our activities – keeping ourselves in touch with best practice and successful place-making throughout Europe and America is the first part – passing on this information to others is the second part. We develop CPD (continuous professional development) modules within our network of consultants and pass these on to others. We take a holistic view of training preferring to blur boundaries between historic professions in order to achieve greater success. We participate locally in academia through the Department of Property and Urban Studies at the University of Glasgow and through the Department of Architecture at Strathclyde University. We were also part of the Improvement Service’s Design Awareness Training for local authorities. 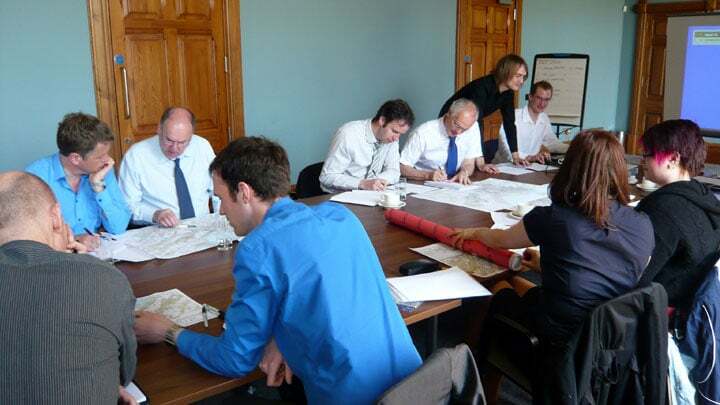 We have also trained communities in the basics of urban design and in design guidance. We can provide training for professionals, elected members and for communities.